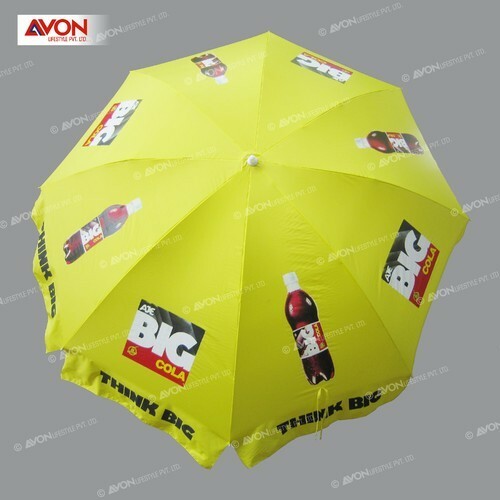 Our clients are offered with Big Outdoor Umbrella which are big in size, attractive and have bright colors. Backed by a team of professionals, we are engaged in printing corporate names and logos on umbrellas, which are used for promotional events in corporate houses. These umbrellas are widely used for Big outdoor promotional events or trade fairs. Any number of printing impressions is possible. Packaging Details Our Garden umbrella packing 10 Pieces can be altered on request.